Member Success Story: Sarah K.
We're so proud of our members' achievements! 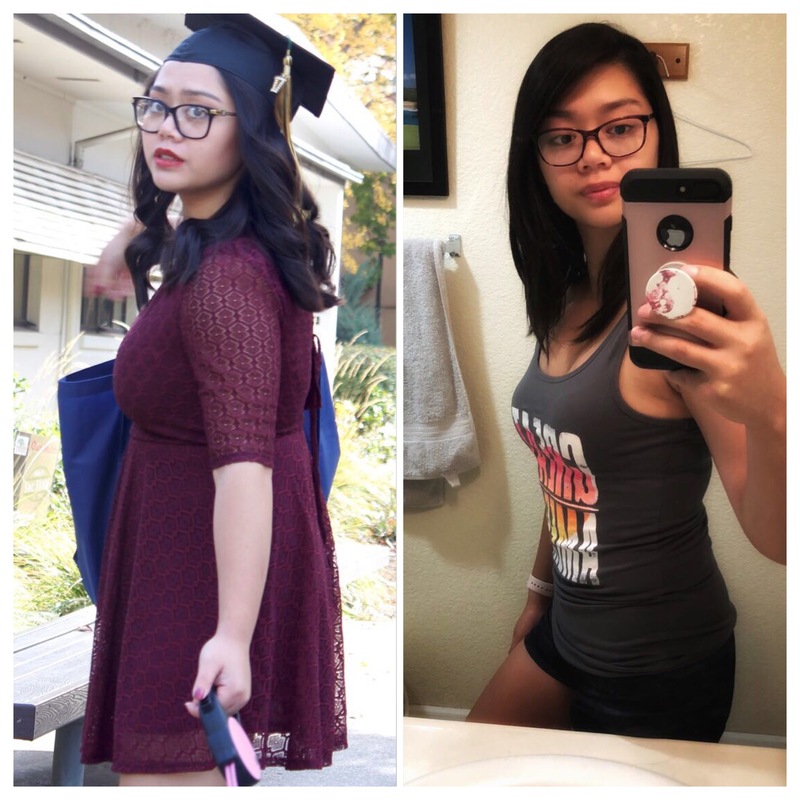 Today we'd like to spotlight Laguna member, Sarah K. She's a recent college graduate who has been working with Cal Fit personal trainer Michael Leighton to focus on her physical health. Let's find out more about her fitness journey. Sarah realized that while she was in college, her health had not been a priority. 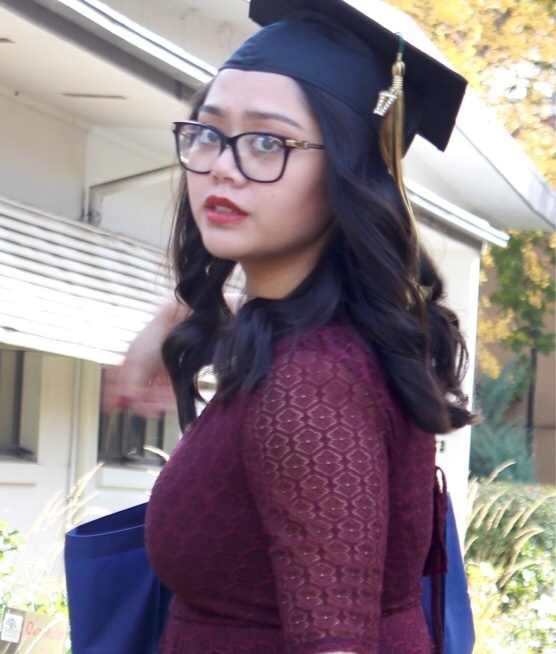 "Being a full-time college student and working part time, I was always on the move and always trying to find the quickest and easiest way of doing things. I created unhealthy habits and it took a toll on my body," she admits. "For example, If I parked above the second floor of a parking structure, I opted to take the elevator. If I skipped breakfast at home, I bought fast food on campus. It wasn’t the best way of doing things, but it got the job done." Many of us can probably relate to Sarah's wellness wake up call. "I never really thought about the weight that I was putting on, or my diminishing physical abilities until I graduated and had time to look in the mirror. I felt tired, sluggish, and out of tune with my body. I could barely climb a flight of stairs without feeling winded," Sarah explains. "I felt nothing like the way a 21-year-old should feel and decided it was time to take care of myself. I started working with a Certified Personal Trainer at California Family Fitness because I knew that I not only needed someone to keep me accountable, but also to guide me in the right direction." For Sarah, guidance from her trainer was invaluable. She tells us, "My trainer, Mike Leighton, was super supportive and encouraging from the start. He was always open to answering my questions about workouts and nutrition. I felt that the program was tailored to my goals and according to my most current physical abilities which maximized my success in the gym. While working with Mike, I was challenged, but never pushed beyond my limits. The workouts that he had planned for me each session made my goals much more realistic and achievable than if I were to tackle them alone." Her initial results kept Sarah motivated. "I saw the difference in my physical appearance about two weeks in and I was pretty excited," Sarah says. "Now five months in, I am 20 pounds lighter and several inches thinner. I feel healthy, strong, and capable," she says proudly. Sarah has noticed other changes, too. "This experience made even the smallest tasks easier, which improved the way I perceive my quality of life. I am now able to get up out of a chair to grab something from the other side of the room without grunting and sighing, and feeling like it’s a chore. I also find myself enjoying outdoor activities that I would rarely ever do before. I am able to go on hiking trips and keep up with the others. I can enjoy the scenery around me without worrying about how tired I am." In evaluating her experience, Sarah shares something that will resonate with anyone considering a lifestyle change. "This journey allowed me to grow physically, as well as mentally. Initially, the hardest part about coming into the gym was my lack of confidence. The gym used to be a foreign place to me, and I had no idea why people came to a place to move their bodies around in odd motions. I was afraid that other gym-goers were judging me on my appearance, or my incorrect form, or how I was using of a piece of equipment incorrectly (even though they probably weren’t). Working with a trainer helped me overcome this because I was taught everything that I need to know to exercise properly. Additionally, with the amount of body fat that I dropped, I feel better about the way that I look." Sarah is pleased to be able to see such great returns on the investment that she made in her own health. "After participating in personal training, I realize that it’s probably the best thing I’ve done for myself in a long time." You might be where Sarah was several months ago: just deciding that you want to do more to keep yourself strong and healthy. Check out our tips for new members here and find out how to set fitness goals you can reach. Need more guidance to get started? Feel free to ask us more about personal training and semi-personal training options at your club.